When I started the sixth grade, my family had just moved to Idaho from Nebraska. During lunch the first day of school I was nervously looking for a good table to sit at, and I ended up sitting next to Makenzie. We became inseparable from then on. Countless sleepovers, coffee runs, morning drives to school, and photos….SO many embarrassing photos! I probably have a million photos of us dressing up, making stupid faces, and with horrible filters. As we got older, our photo sessions slowly came to an end, but Makenzie was always a model for me during my photography classes. I came home to the Boise area for the holidays, and wanted to spend the day with Makenzie and AJ. 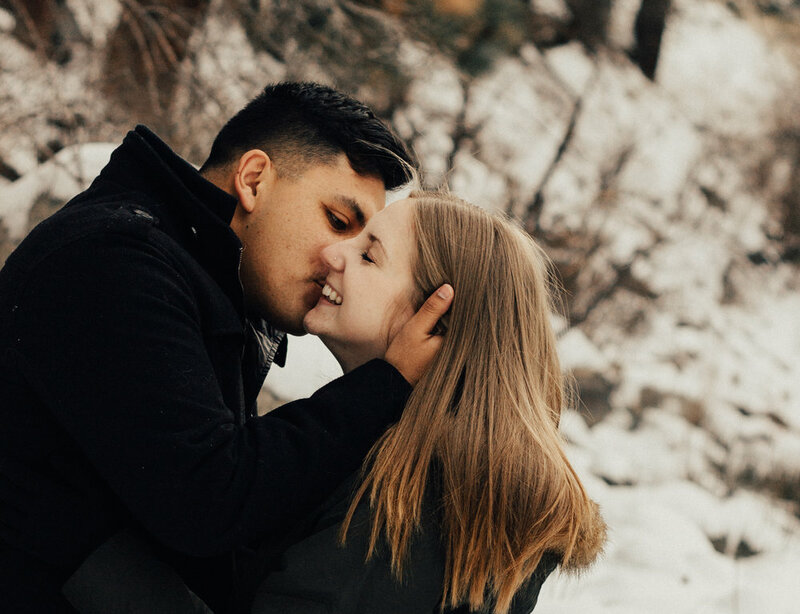 We took a drive along the river, tried to hike on a snow covered trail (and failed miserably), and did a mini session with them and I’ve never seen her so happy! Soon, we’ll be able to get together more often than not.